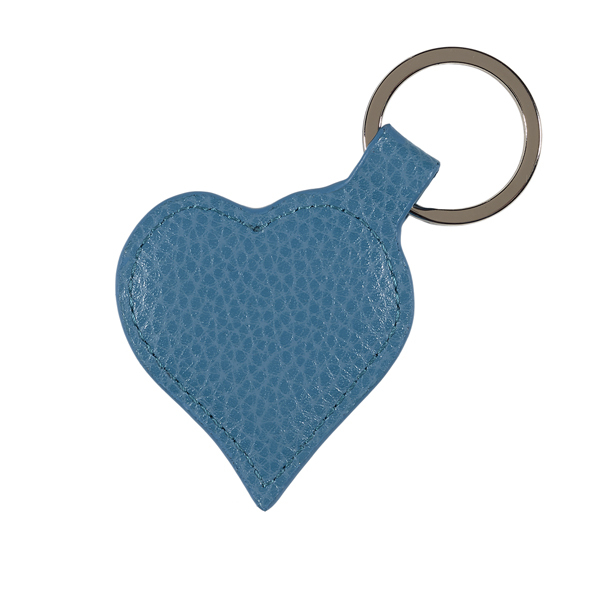 100% Beaubourg Leather keyring in a lovely heart shape, very light genuine grained leather, in a turquoise colour with a 3cm split flat ring. Perfect Valentine's Day gift, something for a special person, or just for yourself to give your keys a stylish touch. 100% Beaubourg Leather keyring in a lovely heart shape, very light genuine grained leather, in an aubergine purple colour with a 3cm split flat ring.